The authority’s cabinet is being asked to endorse the selection of a highly skilled technical team to scope out and develop a new permanent facility at the former Princes Jetty, off Princes Parade. The council undertook a European wide search earlier in the year to explore how a new and bigger terminal could replace the current facility at the Pier Head, which opened in September 2007 and now generates more than £7m a year to the city’s economy. The new passenger facility would sit just 300 metres north of the current one and would be able to handle a new generation of turnaround cruises carrying up to 3,600 passengers. Last year Liverpool welcomed more than 60 vessels, with 120,000 passengers and crew, but wants to capitalise on the cruise industry boom by creating a new passenger and baggage terminal complete with passport control, lounge, café, toilets, taxi rank and vehicle pick up point. And on Friday, 21 April the Cabinet will be asked to approve the plan to provide a comprehensive package for cruise passengers which could also potentially include a new 200 room hotel and 1,100+ multi-storey car park. To enable the works the council is also in negotiations with the Duchy of Lancaster and Peel Land and Property to obtain new leases and purchase land. 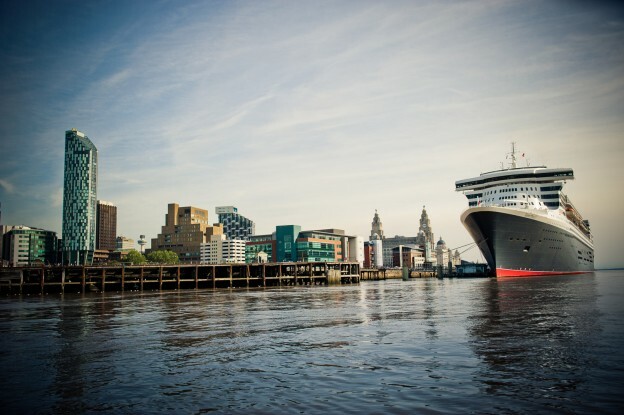 Mayor of Liverpool Joe Anderson said: “Liverpool’s cruise industry has transformed our tourism appeal and given the Mersey a new lease of life. Following approval to appoint the technical team, the council will then submit an outline business case for a £20m contribution from the Liverpool Combined Authority’s Strategic Investment Fund (SIF) by Monday, 29 May. If that stage is successfully passed, the project will then progress to the final stage, a full business case. The technical team will then work on the details of the projects with a view to an outline planning application being submitted later in the year. Although the car park will be for the use of the Cruise Terminal, the council is reviewing locations north of Leeds Street, so it could also support initiatives around Ten Streets and North Docks areas. The council recently approved a new £20m waterfront link road by extending Leeds Street and this is expected to begin construction by 2019. Liverpool City Council is also carrying out further maritime and infrastructure investigations, environmental impact assessments and surveys and is working closely with Peel, which owns the Princes Jetty in its £5.5bn Liverpool Waters scheme. Liverpool was named the UK’s best port of call three times in 2013, 2014 and 2016 and scooped Destination of the Year by Seatrade Global in September 2015. In 2016, Disney Cruise Line came to Britain for the first time and Liverpool was one of just two English destinations they sailed in to. This entry was posted in Cruises, Latest News, Liverpool on April 12, 2017 .